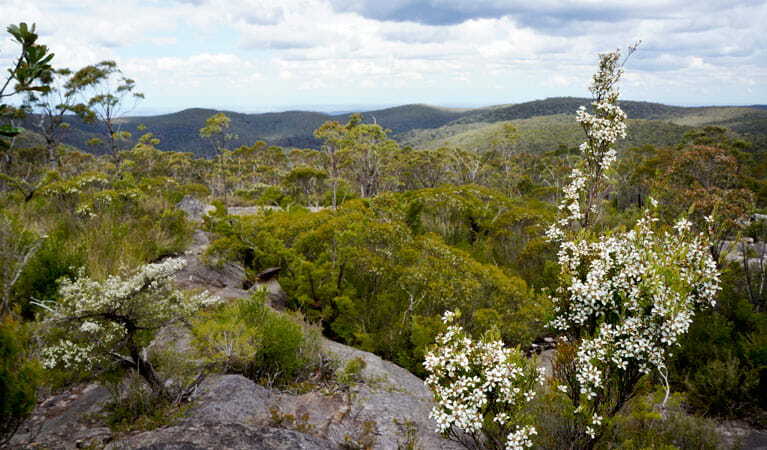 Drive or mountain bike scenic Murphys Road from Woodford Station to Murphys Glen campground. 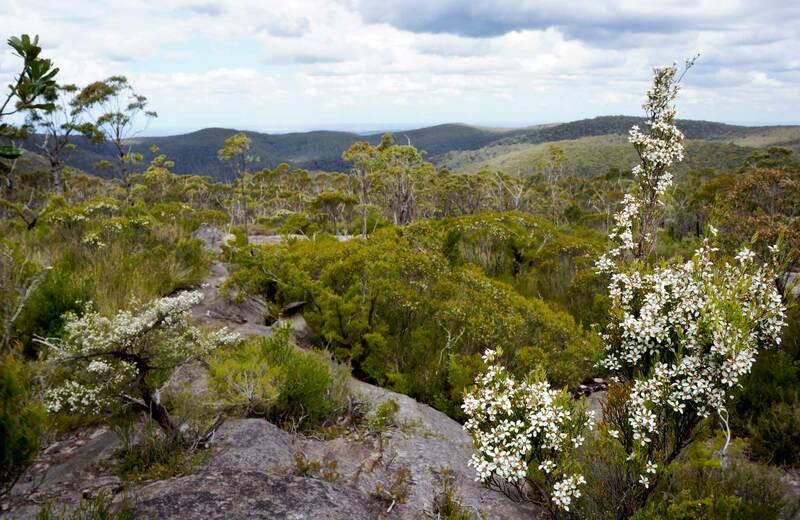 Enjoy bush camping, picnicking, birdwatching, and short walks in this quiet area of Blue Mountains National Park. Allow 2-3 hours if cycling the 14km return route from Woodford Station. There's a steep descent into Murphys Glen campground. Drivers please watch our for bike riders and walkers. Check the weather before you set out as Murphys Road may close at short notice, due to wet weather or fire conditions. 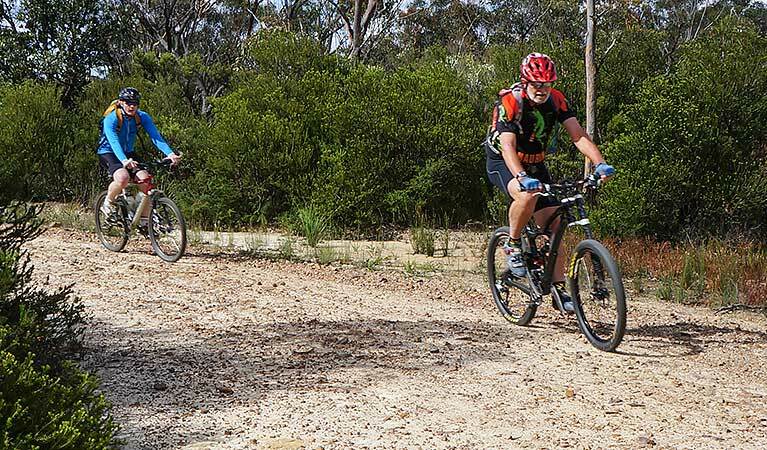 This tranquil 4WD and mountain bike route leads along Bedford and Murphys Roads from Woodford Station to Murphys Glen campground. Easily accessed from the Great Western Highway, it's a great nature escape in Blue Mountains National Park. The unsealed road travels through unspoilt heathland and along a narrow ridge top with scenic views across Cumberland Plain. You might be sharing the track with swamp wallabies and goannas so keep an eye out. 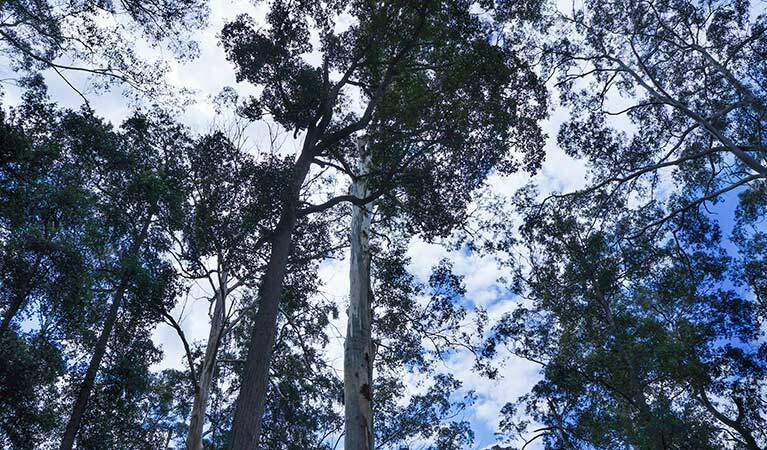 As the road descends into Murphys Glen campground, the heath gives way to majestic tall forest of blue gums and turpentine. Whether you're camping overnight or simply stopping for a picnic, be sure to stretch your legs on the nearby walks to a natural waterhole or Murphys lookout. Spring is a great time to visit as the seemingly harsh landscape, as the sandstone rock platforms erupt with an extravagant wildflower display. 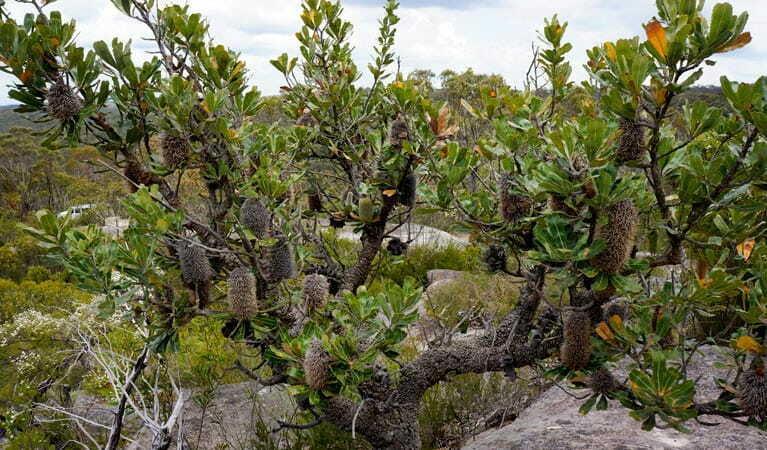 Hardy mallee ash, banksia and trigger plants, growing in the sandstone rock clefts, dazzle with vibrant blooms. Take a virtual tour of Woodford to Murphys Glen trail captured with Google Street View Trekker.